Malaysia is a nation which in diverse in terms of its religions and cultures. They are multi-ethnic, multi-cultural and multi-religious. Half are Malay, a quarter are Chinese, 11 per cent are from the indigenous tribes and seven percent are Indian. Although more than half of the population are Muslims, there are Buddhists, Taoists, Hindus, Christians and Sikhs. People and cultures intermingle but are not integrated. This dialogue grew out of the need to address the question, "How can citizens of the world live in peace and harmony? Compared to many societies with such multi-religious and multi-cultural nature, Malaysia, due to the wisdom, tolerance and the spirit of giving –and take of its leaders, has emerged as a successful one. These are some of the challenges which the religious and cultural diversity of Malaysia has to face or is in fact facing now, and they must get united in forums and other ways so that such challenges are met with effectively. What is of utmost importance is the integrity of the various religions and cultures are preserved, the harmonious life continued, and improved upon, the cultural identity of the people is intact, the country is strengthened, its principles and values are realized, and differences are resolved through amicable discussions and consultations, without outside interference. With God’s grace the country and the people will survive well and with success in facing the global challenge. 2. Building a critical mass of voices that rejects violence and respects human dignity. 3. Eliminate or reduce false stereotypes, prejudices and unjustified fears through direct human communication. 1. Memperkenal konsep kelestarian dalam Islam kepada masyarakat khususnya masyarakat kampus dan golongan intelektual dari IPTA2 tempatan. 2. Memberi pemahaman terhadap masyarakat mengenai unsur lestari yang telah sedia ada dalam ajaran Islam. 1. Menjelaskan kepada masyarakat mengenai hubungan aqidah dengan pemikiran manusia. 2. Mengutarakan kesan penghayatan aqidah islam dari segi kelestarian pemikiran manusia. 1. Memperkenalkan dinar emas kepada masyarakat. 2. Memberi pemahaman mengenai fungsi2 & kebaikan dinar emas dalam melestarikan ekonomi dunia. 1. memberi penjelasan dan pemahaman mengenai kedudukan alam sekitar dalam pandangan Islam. 2. Menekankan aspek kelestarian alam sekitar yang perlu diambil perhatian dalam pembangunan. 3. Mengaitkan hubungan manusia dalam memainkan peranan untuk mengekalkan kelestarian alam sekitar. - The name and logo of the company will be included in all promotional campaigns and programmes conducted by the secretariat of this programme. - As a tribute to our main sponsors, an exhibition and sale lot will be provided to sponsors at the exhibition and sale site throughout the exhibition period. - A handover ceremony of contribution will be held at the time and date which will be notified later. - As a token of appreciation and gratitude, a souvenir will be given to the company that sponsored by the invited guests of honour during the handover ceremony contribution. - The main sponsors will be given the opportunity to show the multimedia concerned with the sponsor during a certain time in the programme. - The company that sponsors will be invited to attend the opening ceremony conquest and the closing of the programme with invited guests of honour. - Product of the main sponsor will be displayed for the purpose of advertising in the main part in the souvenir book. - As a tribute to our sponsors with, an exhibition and sale lot will be provided to sponsors at the exhibition and sale site throughout the exhibition period. - Product of the sponsors with will be displayed for the purpose of advertising in the souvenir book. 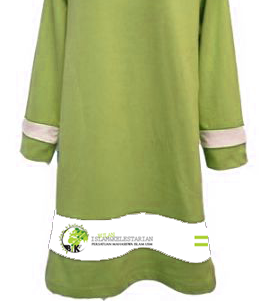 - Product of the sponsor will be displayed for the purpose of advertising in the souvenir book. 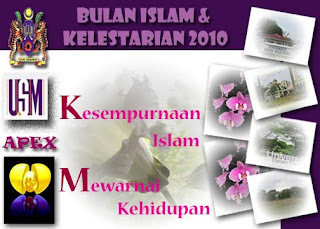 To be informed that Islamic Students Association of Universiti Sains Malaysia (PMIUSM) will organise Bulan Islam dan Kelestarian 2010 (Islamic Month and Sustainability 2010) beginning from 28th February 2010 until 20th March 2010. Accordingly, we would like to seek for your contribution for the success of this programme. 1. 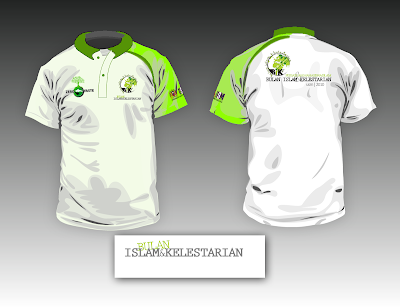 To reveal eternity sustainability concept in Islam to campus society. 2. To continue applying the perfection in Islam in campus society life. Therefore, we welcome any contributions from you to ensure the sucessful of this programme. Financial contributions either with crossed cheque or bank draft can be channeled directly on the name of BENDAHARI, UNIVERSITI SAINS MALAYSIA into Bank Muamalat account number 07020001054716. We would highly appreciate the contributions and goodwill from you. Only God can repay your generosity and hopefully this effort is blessed by Him. Based on USM Vice Chancellor’s idea to implement The University In A Garden concept will definitely beckon peace and tranquillity sense among the entire campus population. A dream to establish a garden in a tower of knowledge would be difficult to materialise without the cooperation from all parties. Furthermore, a university is one of the gardens of knowledge based on an academic perspective like what has been suggested before by our Prophet Muhammad SAW who was sustainable in his nature through his hadith which means, “ If you pass by a garden between gardens of eternity thus you should sit down and follow it”. The Messenger’s friends asked, “ What is the garden between those gardens of eternity, dear Rasulullah SAW? ” Prophet Muhammad SAW answered, “ A lecture (a ceremony in it is a reminder to God) .” Based on the hadith explanation above therefore we understand that Rasulullah SAW had portrayed a high and admirable position to knowledge councils in Islam until there are regarded as a garden between gardens of eternity. 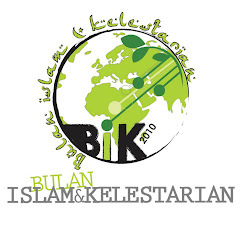 Hence, USM's Muslim Student Association (PMIUSM) at this moment start the effort in moving all academic opportunities to implement Bulan Islam dan Kelestarian or Islamic Month and Sustainability (BIK). As Allah SWT 's caliph, every human is responsible in developing and conserving the environment as well as continually nurturing the love and appreciation of the grandeur of nature and the ecology as bequeathed to us by God as best as possible through a positive interaction. Human interactions are not only limited between The Creator and fellow human beings but they include the relationships with the universe. Islam is a complete religion because it’s living system was degraded by The Omniscience and The All Knowing. This can be excerpted from Allah SWT’s decree “Today I have perfected your religion for you, completed My favour upon you and have chosen for you Islam as your religion." (QS. 5 : 3).